Body by Vi is a company that believes the 3 pillar to success are: Life, Health & Prosperity. Visalus was founded by three men: Ryan Blair, Blake Mallen and Nick Sarnicola. The company promotes good nutrition as a foundation to health and weight loss. The challenge is to lose 10 lbs at a time. First step is to set a goal. It may be to lose weight, optimal physique or an active and athletic lifestyle. Next step is to select a kit that will best match your 90-day goal. And lastly enter to win! Submit your results to them to win weekly, monthly or the grand prize! 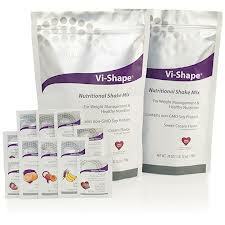 Distributors earn residual income by sharing Body by Vi™ Challenge with others. The company promotes good nutrition as an integral part of weight loss and total health.